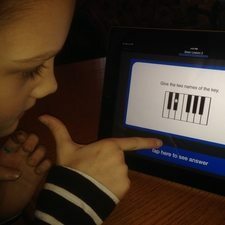 A Piano Music App iPad Lesson... that went from Panic to Playing in 30 minutes. Have you ever had a panic lesson when your student stumbles into your studio with the look of complete horror on their face because of something bizarre that happened at school? They can't catch their breath and they are freaking out? Enter my 8 year old, super cute, highly sensitive student. OK, so we take a quick moment to redirect her focus from intense concentration on her frustration and shift it to intense concentration on something completely different. The Challenge. 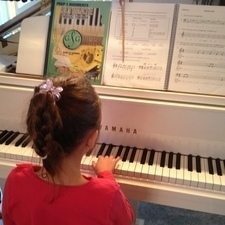 Piano teachers need to think fast - how can I be productive with this lesson? I grab my ipad (because I don't want her tears or her colored marker fingers from art class all over my piano keys) and say, "hey let's do something different today"! Sniff, sniff... Time to have a Piano Music App iPad lesson with the Basic Rudiments Music Theory App. WOW - you could blow me over with a feather. She went from Panic to Playing. Even though she is not in Basic Rudiments yet - she loved the App. Her face lit up as she named the notes quickly in Lesson 1 and hit the numbers on her answers. This Music App is easy enough for an 8 year old! As she heard the note played on the app, she hummed the note as she was matching the pitch. Ear Training - Easy! We moved on to Lesson 2... who knew she would be SO excited? When it came to ledger lines, she simply identified them as line note or space note and how many ledger lines there were. The Piano Music App iPad lesson was a change in direction with a happy ending. Panic lesson - do something different. When playing the piano, we need to know our Italian terms. Pronouncing Italian terms is not always easy... unless of course you do speak Italian. If you don't, this Piano Music App iPad lesson will help you. Not only will your students learn to identify the definitions of their Italian terms, but they will hear the correct pronunciation as well. Here was my little 8 year old student repeating the Italian term (with her new found Italian accent) all while having fun learning. 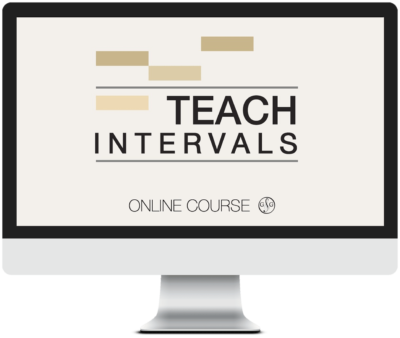 Do you wonder HOW your student can learn Basic Music Theory and really get how to read music, hear intervals, identify Italian terms (pronounce them correctly & know what they mean) when we are all so busy? Too many activities and not enough time? 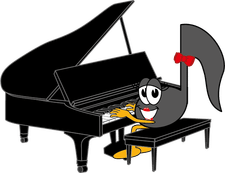 Want to learn EASY Basic Music Theory? There’s a Music App for that! It's so cool. Here's how it works. There are 12 decks in the Music App with over 100 Flashcards in each deck. Each of the 12 decks (called lessons) corresponds to the 12 Basic Rudiments lessons. When using the Music App - for each Flashcard, you will see the question first. For pitched Flashcards (notes, scales, intervals, triads etc. ), you will see AND hear the Flashcard. This gives you lots of options for Ear Training and Sight Reading. For terms, you will see the term and hear the proper pronunciation for the term. On a scale of 1 – 5, assess how well you knew the answer to the question. The cards will repeat in a pattern based on your confidence on each card! She wanted to play more... needless to say, our panic lesson ended with her playing the notes she had just identified on the app. It works with all Learning Styles – Visual, Auditory, Kinesthetic and Special Needs. 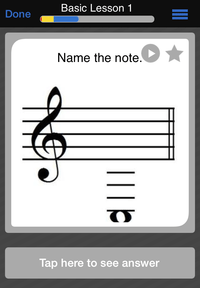 Download the Music Theory Flashcard App Today. P.S. Join the conversation - Enter your comment or ideas below on how you take a lesson from panic to playing.